About Us - Yinz Fans? 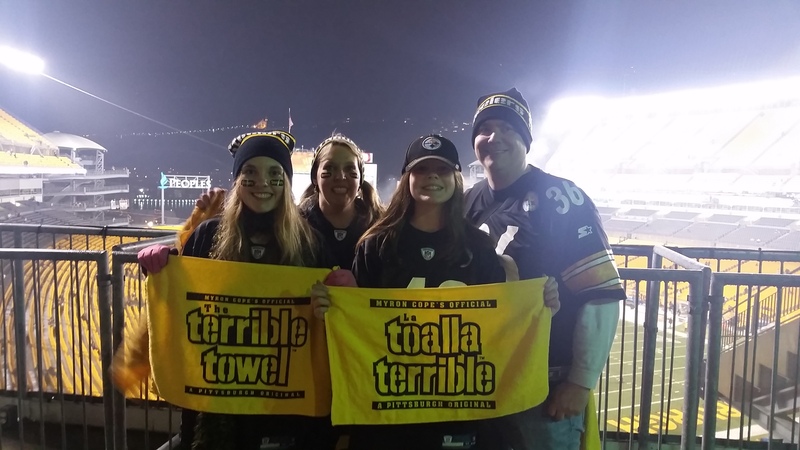 When you’re born in Pittsburgh, the Black and Gold is in your blood. Whether your favorite are the Steelers, the Pirates, or the Penguins, no other “home team” will ever be yours no matter where you live. Unfortunately for me, it’s hard to find great Pittsburgh sports team fan gear when you live in Indiana. We’re limited to a few hats and some occasional memorabilia. But I want to be able to buy jerseys and Christmas ornaments and tailgating plates! So I started this site to round up my favorite Steelers, Pirates, and Penguins products that you can buy online. I’ve added in some links to my favorite Pittsburgh sports news sites if you are like me and need to get your sports news online because your local news stations never talk enough about your favorite teams. For those of you wondering, What’s Yinz? I’m happy to share everything I have found with my fellow Pittsburgh fans!